Planning a trip on a budget means securing the best possible airfare, but it can be hard to know when to buy those tickets. While there are many automated systems out there which can help email you fare alerts, there’s one app which stands out above the rest when it comes to locking down the best prices: Hopper. “First, search for a trip by tapping dates on the color-coded calendar. 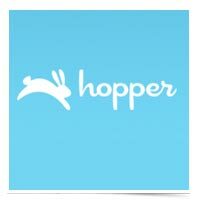 Then, get Hopper’s prediction about when your flight will be cheapest. We’ll recommend whether you should wait or book.